From middle school friends with a dream of creating a band and music they feel will help connect the world, now Grammy nominated and featuring a star studded guest cast on Amid the Noise and Haste, SOJA have made their dreams come true and more as they have released their latest effort mentioned a few words back. 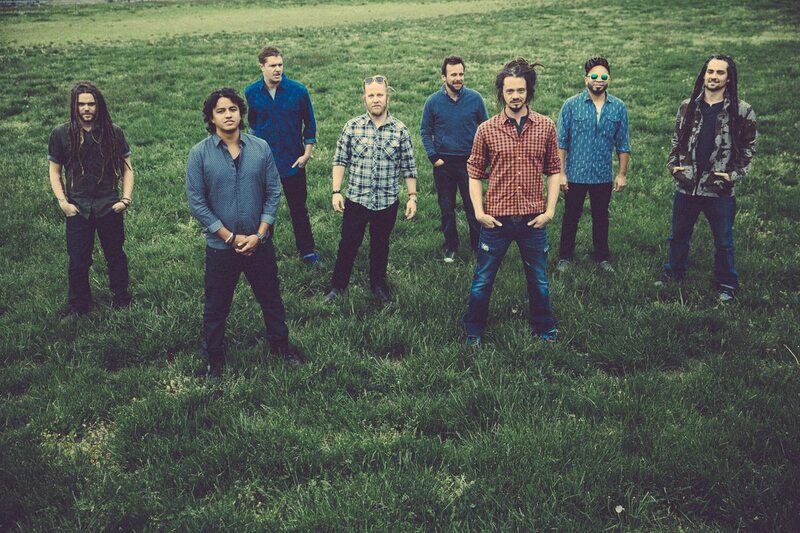 SOJA is a Reggae band that fuses elements of rock, pop, hip-hop into their music which always means you will find a variety in every song they create. Needless to say you’re listening experience won’t be a boring one. Amid Noise and Haste features artists such as J-Boog, Anuhea, and Gong Marley. Another impressive fact about the album is that it features 17 tracks! To me that is definitely getting your money’s worth when purchasing music! Arlington, VA has certainly brought us a unique band in SOJA with a message of hope, belief in humanity, making dreams come true and many more topics of positivity and ones of a true message of the world being broken but through the chaos of life there is beauty. Tear It Down is the first track on the album and one of a powerful message of the bands observation of the current state of governments, environmental destruction. These things are growing every day from how we treat the earth and improper disposal of materials that overall harm the earth. As far as government, I don’t need to write about that for you to know that things are often not in a positive light. Promises and Pills – One of the most heart wrenching songs on the album that has a light instrumentation but a powerful message of the governments treat their soldiers who often are lost in reintegration. Reintegration is a procedure of helping soldiers damaged by wars into everyday life. This has caused many soldiers to become even more broken and forgotten by the system they stood to protect. Overall the message is a fitting one of Amid the Noise and Haste and keeps to the albums theme of so much chaos. When I remember what went down.” SOJA – Promises and Pills. There are also songs of a more positive nature if world hope isn’t your thing. She Still Loves Me is such a song that shows how love can stay long after it’s left us whether we have the same feelings or not for someone, they still remain and impact us in a good way. That’s just a sobering truth no matter how it ended. Consisting of 8 members who push a message of changing the world one song at a time truly is a thing to commend and give a nod of attention to. Hence why they were recently nominated for their powerful message and musician skills. What’s amazing is more so than on previous efforts is more use of acoustics and trumpet sections that bring more of that reggae vibe than the reggae-rock sound they are widely known for. This brings out more of the roots of music that has always been about contemplation and satisfaction with the simple things in life. 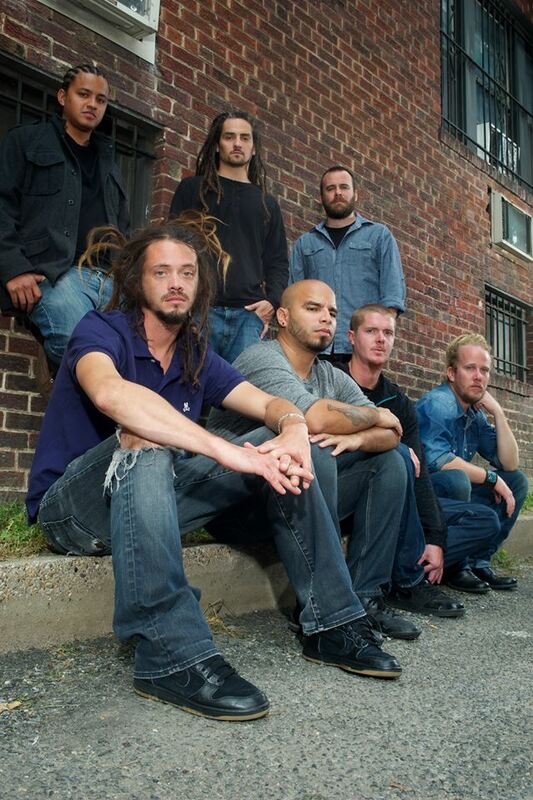 Much like music legend Bob Marley, SOJA share the same love of man and reuniting all through the power of music. This is most certainly a vibe I want in my life and a sound I’ll always love as much as I do the Blues. My interpretation on the album is one of me seeing these guys come together and mature their sound into something even more beautiful that before. So whether you care about music with a cause or something that just gives you an overall sense of peace, SOJA is a band worthy of your attention and one you won’t regret listening to. As always it’s up to YOU to make that choice of whether this is “good music” or not. I look forward to more from SOJA in the future and would welcome them to be an addition of the Contrast Control family anytime. Personal Favorite Tracks: Wait, Promises and Pills, Tear It Down, Your Song, Easier, Better, Lucid Dreams. Basically entire album! Amid, contrast Control, Feature, Grammy, Haste, James, Life, Message, Music, Noise, Reggae, Review, Soja, West, World. Bookmark.